February 23, 1925 - December 17, 2018 Juley DeEtte Dunn Teuscher, long time Oregon City resident passed into eternity December 17, 2018. Juley DeEtte Dunn Teuscher, long time Oregon City resident passed into eternity December 17, 2018. 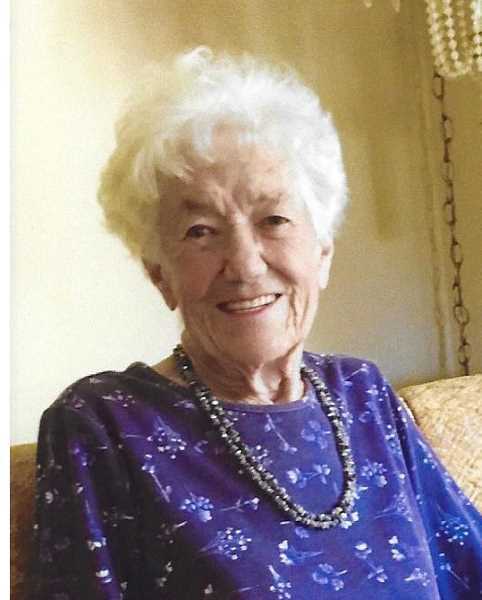 De, as she liked to be called, was born February 23, 1925, the last of six children born to Jesse and Elizabeth Williams Dunn in Montpelier, Idaho. She grew up in their house in Montpelier and at their ranch just outside Montpelier, spending the summers at the ranch raising sheep and cows and winters in town attending school. In school she excelled in competitive readings and plays. Upon graduation from high school, she joined the war effort in California working on Jeeps and driving dignitaries (such as Bob Hope) to various Army functions. She married her high school sweetheart, Calvin Warren Teuscher upon his honorable discharge from the Army and they began a life together eventually settling in Oregon. They partnered together owning and operating 88 cent stores in the Oregon City and Portland area. Later they opened western wear stores in Woodburn and Molalla. De was an avid hobbyist enjoying sewing, crafting, carpentry, gardening and building an extensive Ideal doll collection. De leaves behind two daughters, Susan Teuscher Trammell of Liberty Hill, Texas and Leslie Teuscher Marks of Beavercreek, Oregon. She was preceded in death by her husband of more than 68 years, Cal, her parents, siblings and two grandchildren, Dee Ann Yarborough and Ryan Jerome Marks. Cherishing her memory also are Susan's children, Jo Lee Landry and Travis Yarborough and their spouses and children, and Leslie's husband Jerry Marks and their children Warren Marks, McKenzi Marks Warnock, and Lacie Marks Lane and their spouses and children. Numerous great-grandchildren continually filled De's life with love, joy and laughter. A small graveside service will be held Wednesday, January 9, 1:00 pm at Willamette National Cemetery, Portland, OR.